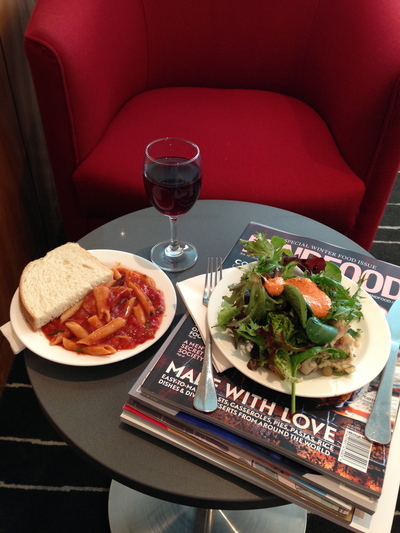 Whether you're flying internationally or just around Australia, airline lounges are a way to unwind and cope with the demands of frequent travelling. 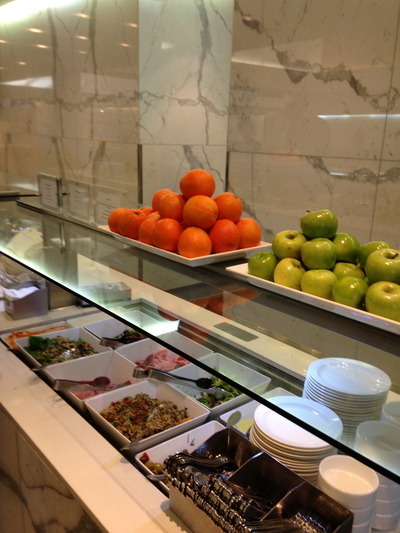 The Qantas Club is your go-to destination at the Brisbane Domestic Airport. A recent facelift has seen facilities expanded and a few subtle changes to make your stay even better. Once you settle in there is plenty to do; you won't get bored. 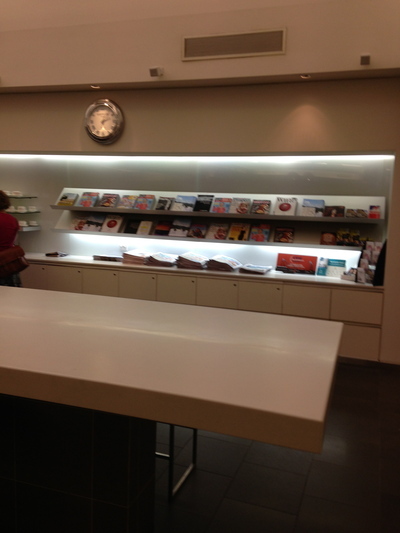 The staff are courteous and welcoming from the moment you walk in. The constant announcements may be distracting to some, but you can easily tune out. 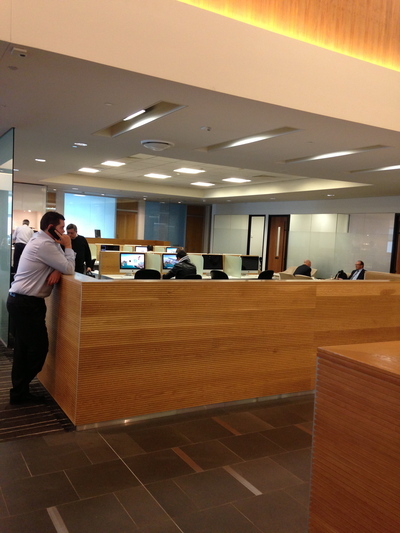 There is a kids corner as well as plenty of space for others to relax, work, or chat. 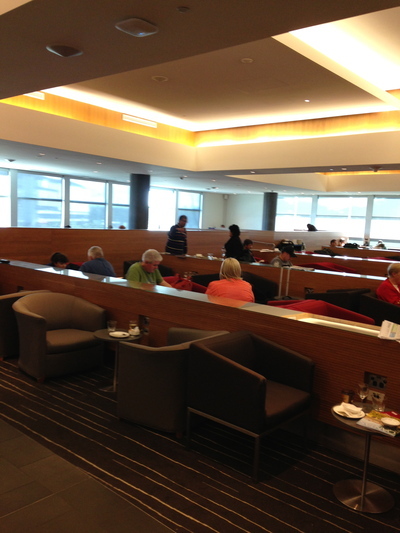 There are plenty of chairs and lounges, so you'll be able to find somewhere even during peak times. First off, you'll want something to eat. 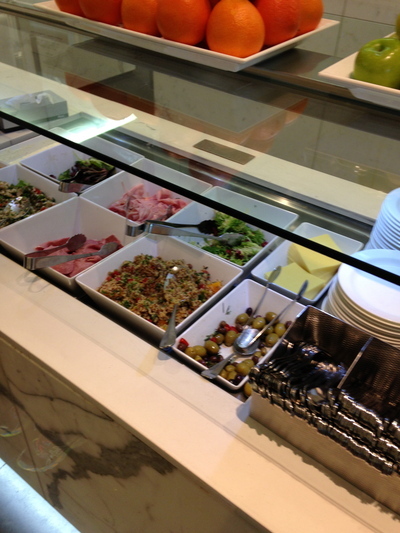 There are tasty antipasto dishes and cold cuts of meat. There is always a choice of salad and a hot dish. The choices change from day to day. The traditional rocket salad was delicious with spicy chickpea sauce on top and the pasta had a nice chilli kick. Some airline lounges have one soup option available, however on this occasion at The Qantas Club, Brisbane Domestic Airport there were two: pumpkin and a beef masala type. Although the latter was a little salty, the beef chunks were rather filling, and there were ample vegetables to balance things out. Although the selection of red wines is fairly minimal, the pinot noir varieties never disappoint. There is a barista service that can brew you up a quality espresso coffee outside of breakfast times and their chai lattes are really comforting, warm and delicious. The staff know how to make an excellent lemon lime and bitters; you can also enjoy a range of spirits and mixers. There are ample Mac computers to work on, plenty of newspapers and magazines to read, as well as TV to watch. The restrooms are clean and spacious. If you're after a quiet space there is also a dedicated mobile phone free zone. You'll find excellent service and a high quality spacious lounge. 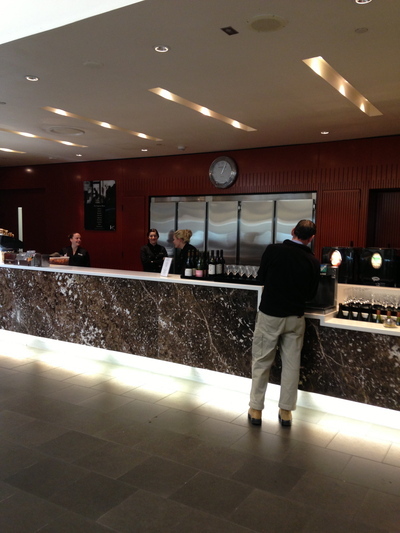 A few hours in the Qantas Club Lounge is far better than hanging around in the terminal before your flight. The staff announce the boarding times for all flights, so you won't miss your plane while you're busy relaxing. Cost: Free to those with an invitation or Gold and Planinum Frequent Flyers.